Last week I attended a lunch that I was invited to at Willoughby & Co. in Hyde Park. Willoughby & Co. is a seafood restaurant based in Hyde Park Corner shopping centre. The restaurant serves traditional simple, genuine and authentic seafood dishes as well as the more prevalent Japanese style sushi. 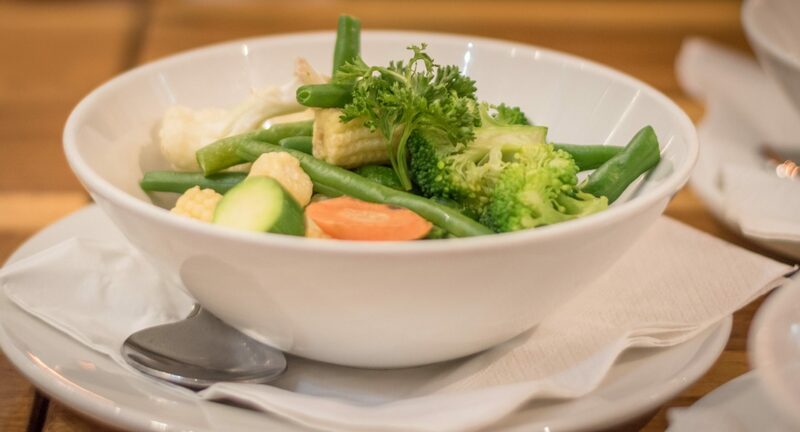 I was treated to a wide selection of menu options which allowed me to get a feel for the type of food up for offer and most importantly allowed me to taste a little of everything. 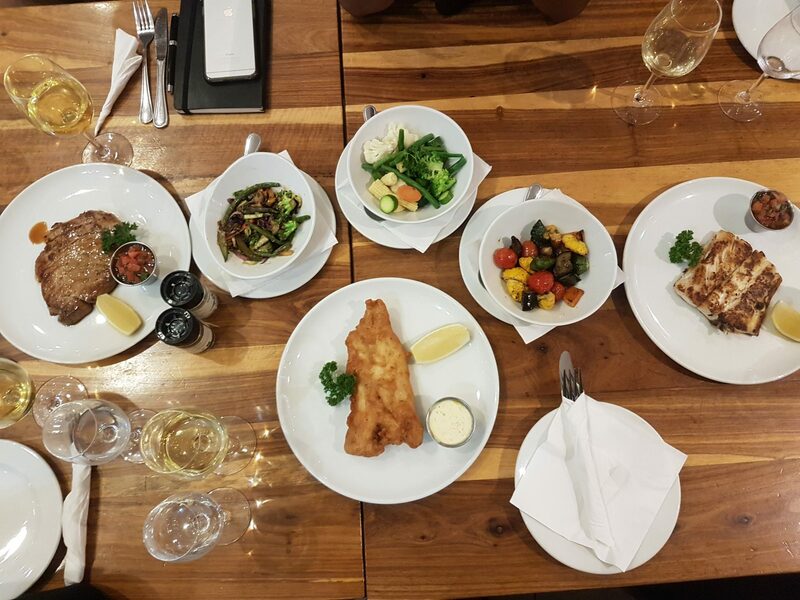 The starter dishes included portions of beer battered hake, calamari with a side of garlic aioli as well as salmon tartare with lemon zest, spring onions, capers and avocado. 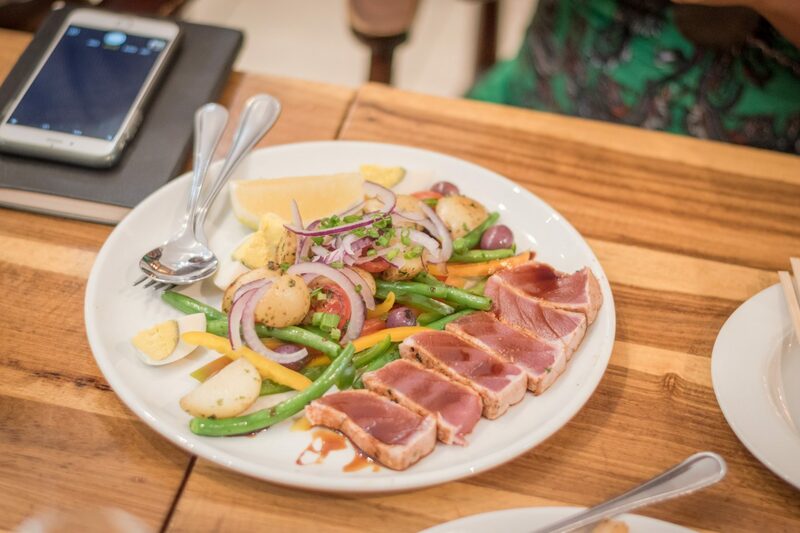 I also tried some of the seared tuna, langoustines and a variety of accompanying fresh salads. I absolutely loved the beer battered hake, so simple and yet really light and delicious! The salmon tartare was also really lovely and went so well with the crunchy, spiced tortilla like chips. I really enjoyed the seared tuna and langoustines. Both really great quality seafood. 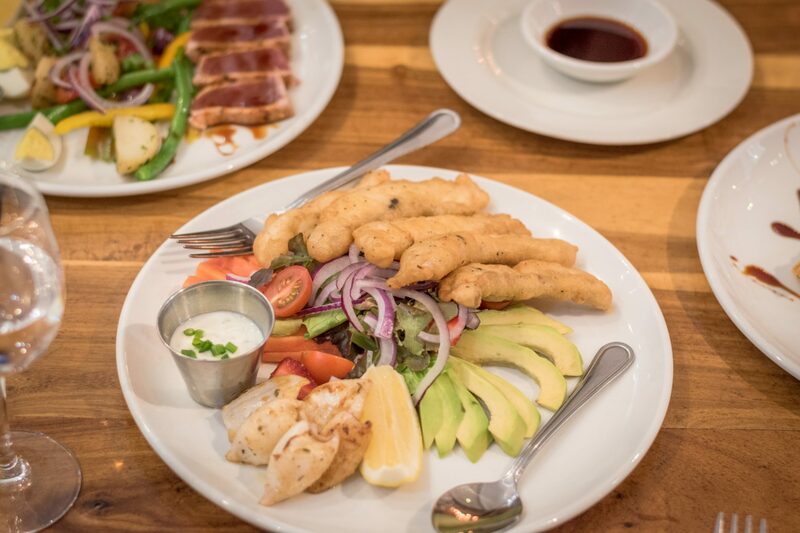 Willoughby & Co. believes that good seafood is best served simple and clean with light refreshing salads rather than creamy rich overpowering sauces. With such great fresh quality and authentic tasting fish, it’s easy to agree! A sushi platter was also served at our table showcasing some California rolls, Rainbow rolls, Maki and Sashimi. 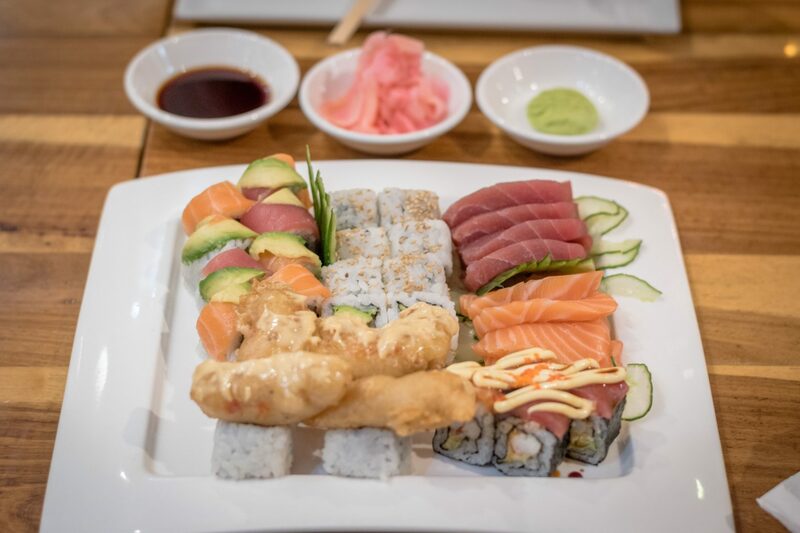 Loved the sushi at Willoughby & Co. For the main meal we were served with grilled kingklip, battered kabeljou, tuna steak and a kingklip, prawn and chourico skewer served with a side of fresh vegetables and the most amazing sweet potato mash I have ever eaten. For dessert I tried some of the crème brûlée as well as the bread and butter pudding served with a side of banana ice cream. They were both delicious but the real victor of the desserts was most definitely the bread and butter pudding. This was a seriously brilliant dish! I experienced great service at Willoughby & Co. and was made to feel welcome and at home. The restaurant has a vibrant and trendy feel to it situated right at one of the entrances to Hyde Park Corner. 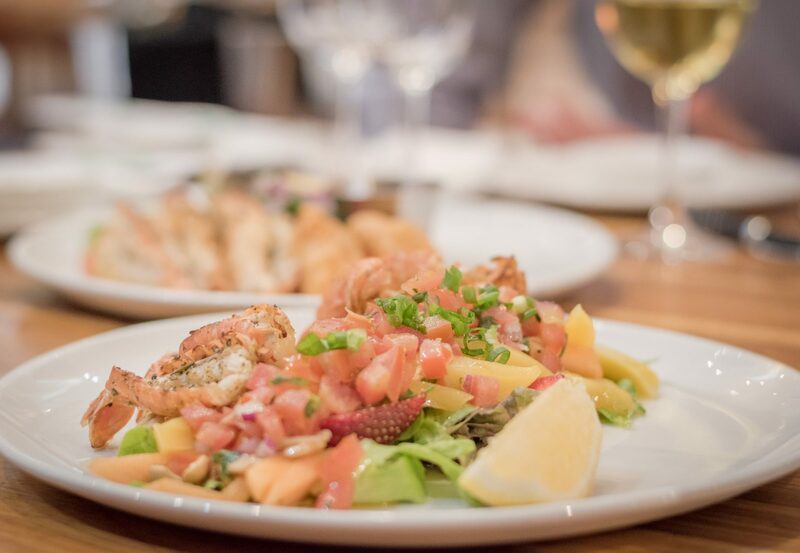 Patrons are allowed to bring their own wine and because Willoughby & Co.’s philosophy is all about serving great seafood, they won’t even charge you corkage – that really is fantastic! Every fish dish that was served at Willoughby & Co. was honestly exceptional. The fish was beautifully prepared and absolutely tasty. It’s also great to know that Willoughby & Co. is a responsible restaurant accounting for the sustainability of seafood. 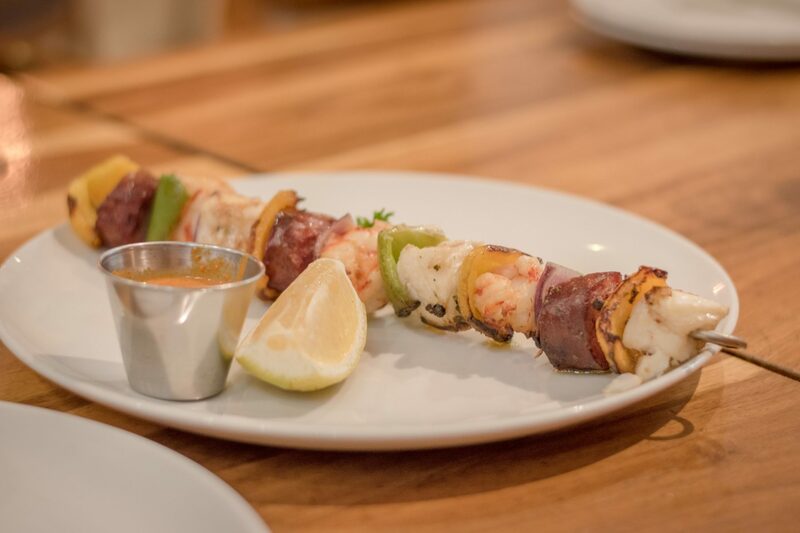 With such an in depth knowledge of seafood it’s clear that the owner, Brett Whitehouse, has a passion for the industry and seafood in particular. 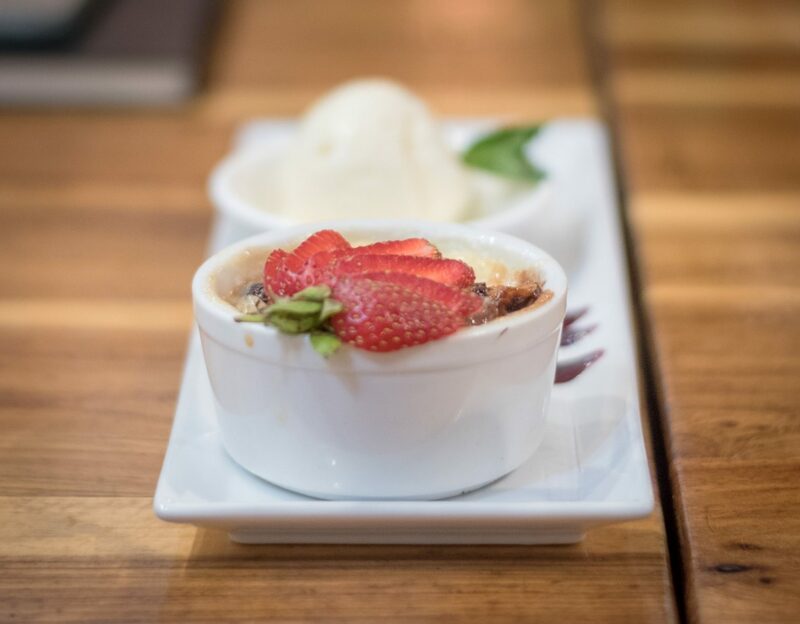 I will definitely be back soon for more seafood and of course the amazing bread and butter pudding ;-) I also look forward to trying their new restaurant Fish & Wine Co. – opening in Umhlanga this May – when I next find myself in the Durban area.